I left my house Friday evening and was heading westbound on Butterfield Road towards North Aurora. It was just about 6PM and the storms were rolling in… I could not believe the amount of lightning! This was one of the most intense electrical storms I have witnessed in a long time. As I drove, I seemed to be dodging the lightning as I went; the lightning was striking VERY close. Then things seemed to clear-up rapidly. By 7:15PM, the sun had returned in North Aurora. It was only a temporary clearing, because throughout the rest of Friday night and much of Saturday morning, the rain came down. 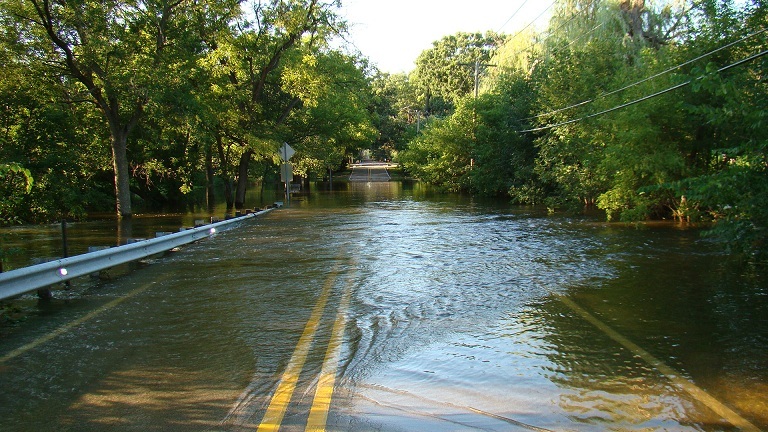 In fact, many portions of DuPage County received nearly 8″ of rain in less than 24-hours. When driving home Saturday morning, it was clear that major flooding was taking place. 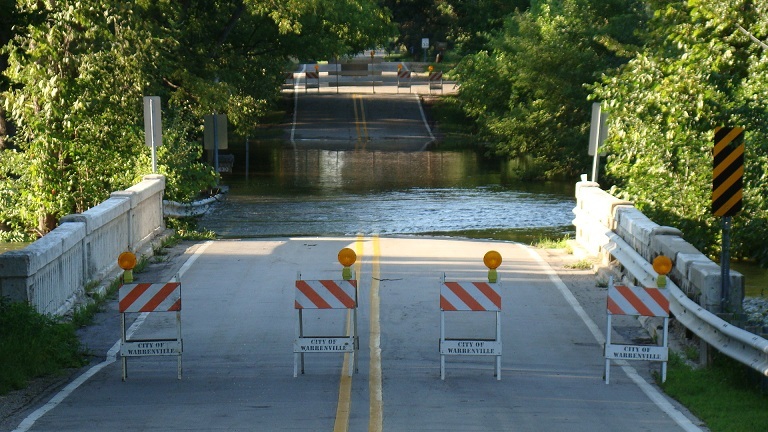 A large section of Roosevelt Road in West Chicago was closed off due to flooding. Traffic had to be diverted to the far-right side of the road just so vehicles could get through. The flooding at this location had overtaken two of the westbound lanes and most of the center median. Many low-lying parking lots and areas along the rivers, creeks, and ponds also flooded. Still, it seems most of DuPage County had been spared. Some of the hardest-hit Chicago areas included the near-west suburbs. Broadview and Cicero had considerable damage due to flooding in residential neighborhoods. Below are a couple photos of the DuPage River, which by Sunday morning had spilled over it’s banks… If you have photos of this weekend’s flooding that you would like to share, please email them to us.